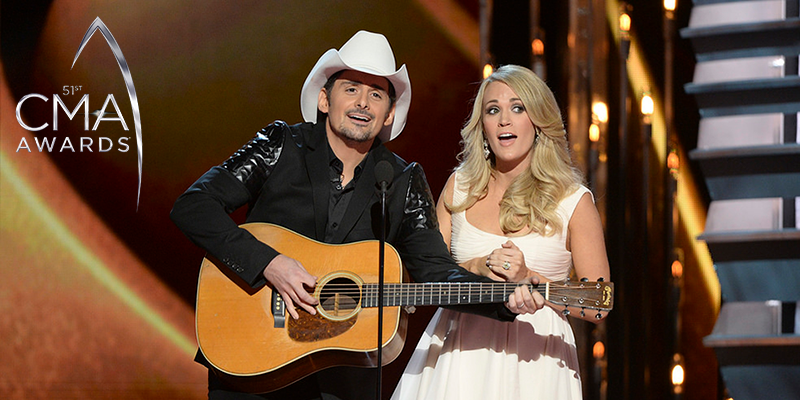 The 51st Annual Country Music Association Awards (CMAs) air live from Nashville on Wednesday, November 8th. Country superstars Brad Paisley and Carrie Underwood will return as hosts for their 10th consecutive year and the evening will be packed with live performances from Kelsea Ballerini, Maren Morris, Niall Horan, P!NK, and more! Awards are given out each year across twelve different categories recognizing the top artists, songs, albums and videos in country music. The highest honor of the night comes in the form of the Entertainer of the Year award, which includes a strong list of nominees: five-time winner Garth Brooks, two-time winner Luke Bryan, one-time winner Keith Urban, plus two-time nominees Chris Stapleton and Eric Church. See the full list of nominees across each category. Which song would get your vote for country music's Single of the Year? Have a listen below then take the poll to let us know! What's your country Single of the Year? Sheet Music Direct has thousands of Country sheet music arrangements available to play instantly.